Nothing is going to stop us this month!! Alleluia, it’s cake of the Kings time!! 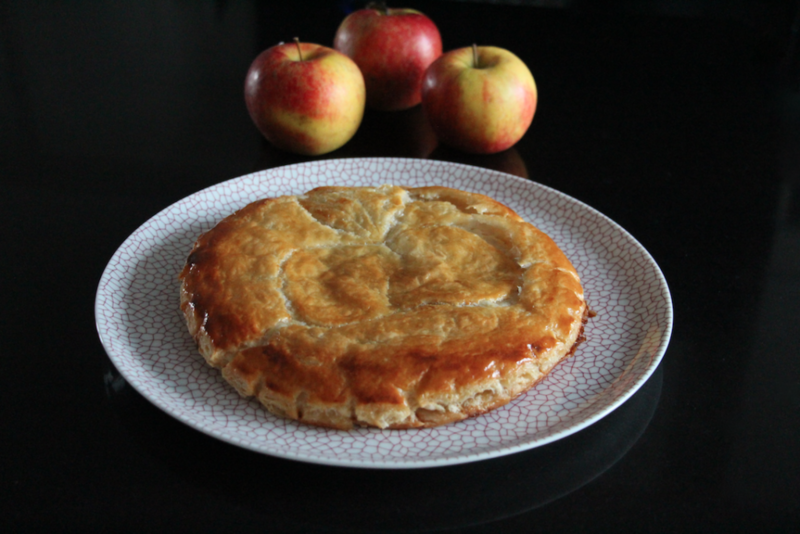 Today I will introduce a super easy version: the apple cake of the Kings. Yummy! I’m always trying to suggest a wide range of recipes, either in order to give you the choice or to help change once in a while. 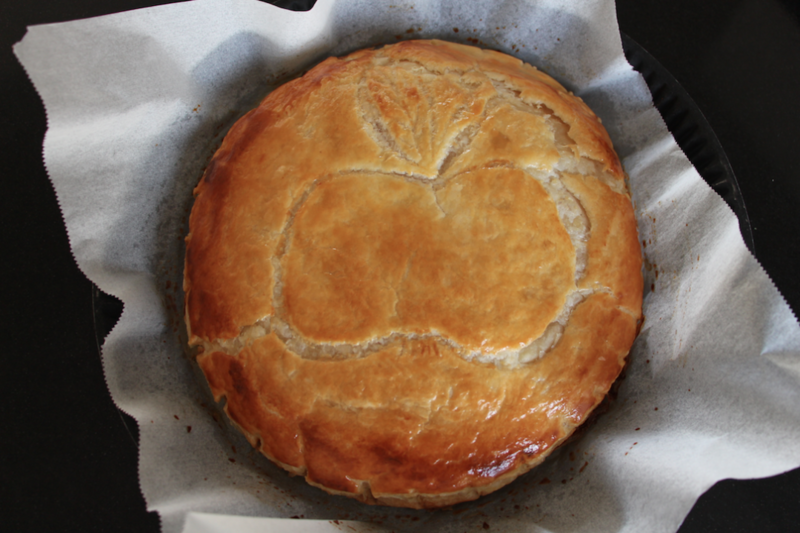 Hence the apple cake of the Kings, a recipe I really wanted to share. 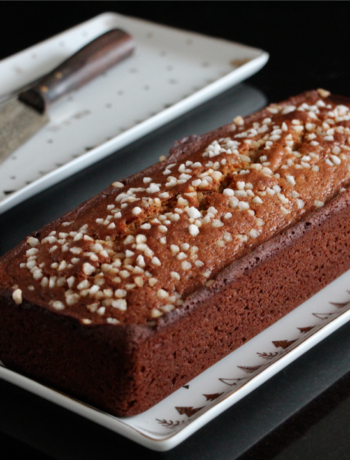 I also recently introduced a pear, hazelnut and chocolate version … Which is to die for… But if you want a nut free cake, or a lighter one, this apple cake of the Kings is the recipe you were waiting for!! And my Affinity sauce pan by De Buyer. Make an apple compote : peel and cut the apples. Place the apples in a sauce pan with the sugar and cinnamon. Cover and cook at low heat for 30 minutes. At the end of cooking time, mix roughly with a fork. Let cool down for 30 minutes on a plate. 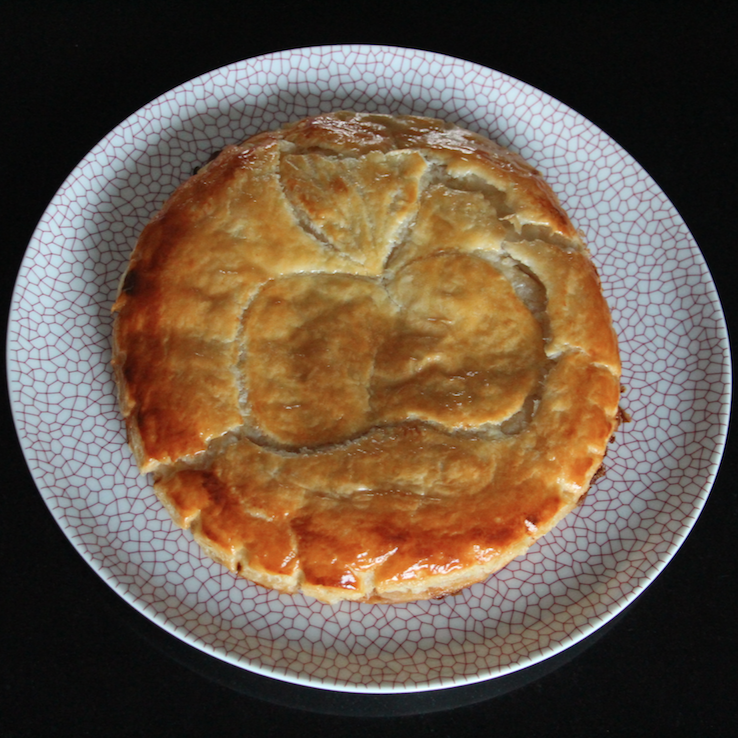 Spread your puff pastry and make 2 discs: one 18 cm diameter and one 20 cm diameter. Mound the apple compote in the center, do not get closer than 1 cm-1,5 cm form the border. 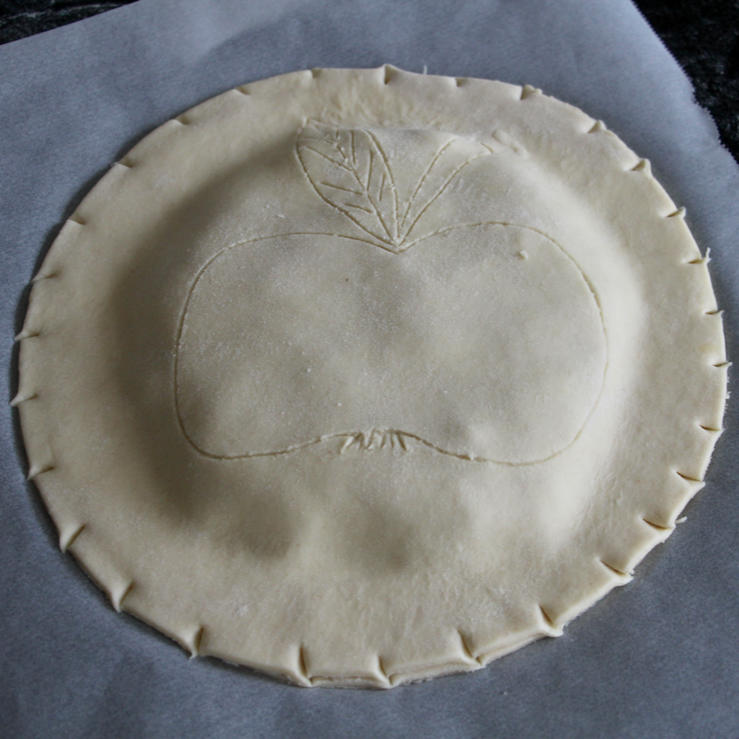 Decorate the second pastry with the tip of a paring knife. 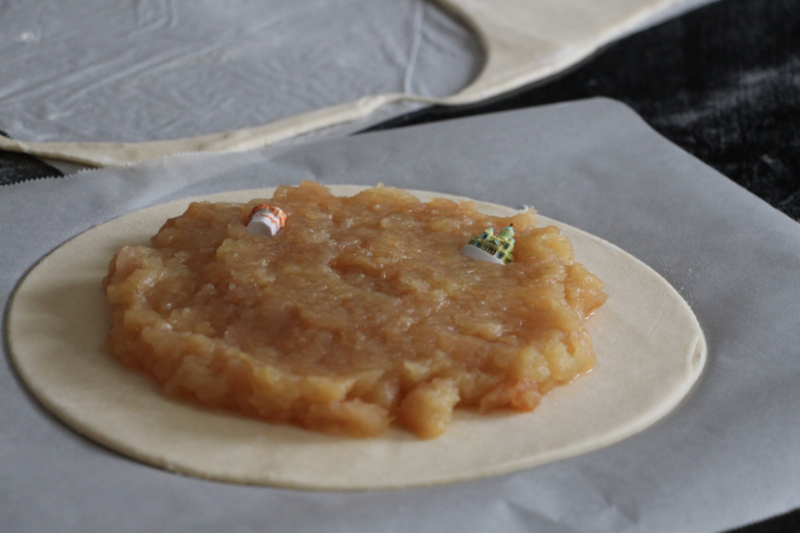 Place the second pastry on the first one. 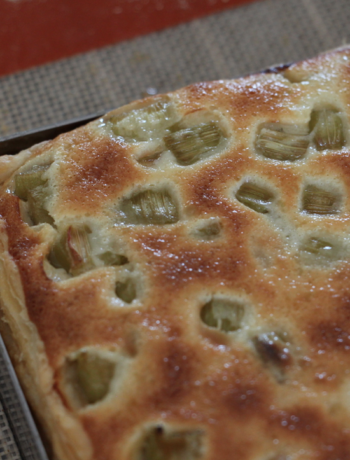 Make sure not to leave air bubbles between the apples and upper pastry. Press gently the edges together. 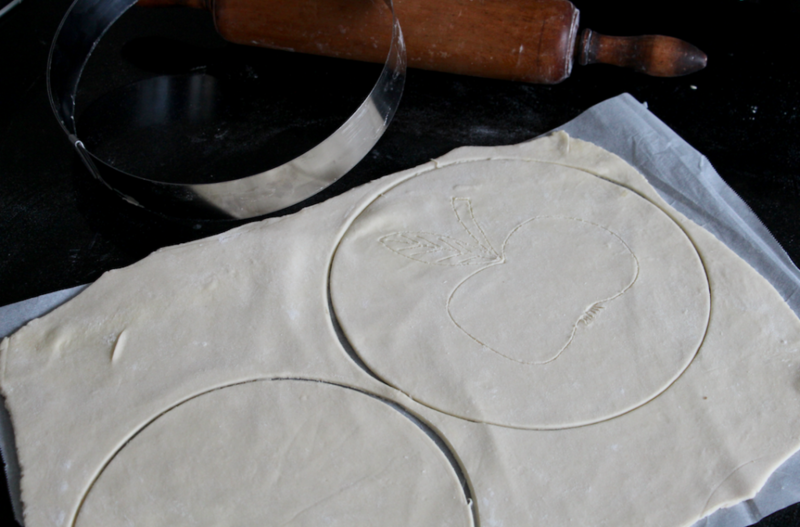 Make 5 cuts to help the steam get out of your galette during baking. Beat the egg and milk and brush the cake. Set aside in your fridge for 45 minutes. After 35 minutes, preheat your oven at 175 degrees. Brush again the cake with the egg and milk mixture.